When reviewing the following examples, you can assume that the driver had at least 10 consecutive hours off duty before the start of each "Day 1" or standalone log. Violations: There are no violations in this example. Explanation - 11 Hour Limit: After 10 consecutive hours off duty, the driver had 11 hours of drive time available starting at 1:00 a.m. The driver drove between the hours of 1:00 a.m. and 6:00 a.m. (5 hours), then again between the hours of 7:00 a.m. to 10:00 a.m. (3 hours) and finally between the hours of noon to 2:00 p.m. (2 hours). Since the driver was allowed a total of 11 hours of drive time but only drove 10 hours (5 + 3 + 2) so no violation occurred. Explanation - 30 Minute Break: After taking 10 consecutive hours off duty, the driver went on duty at midnight. At that point, the driver could perform driving duties until 8:00 a.m. before a 30 minute break off duty would be required to continue any driving tasks. After driving for 5 hours (on duty for a total of 6 hours) the driver fulfilled the break requirement by spending 1 hour off duty between the hours of 6:00 a.m. and 7:00 a.m. Starting at 7:00 a.m. the driver was allowed to continue driving for the remainder of his/her available 11 and 14 hour limits. Explanation - 14 Hour Limit: After 10 consecutive hours off duty, the driver had 14 hours available beginning at Midnight. At 2:00 p.m., the driver had reached the end of the 14 hour window (10 hours driving, 3 hours on duty, and 1 hour off duty). 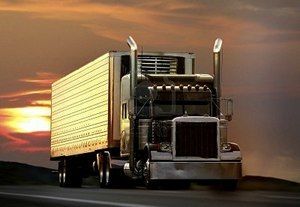 The driver may not drive a CMV once he or she has reached the end of the 14 consecutive-hour period and in this example, the driver goes off duty for the required 10 consecutive hours starting at 2:00 p.m. Explanation - 11 Hour Limit: After 10 consecutive hours off duty, the driver had 11 available hours of driving and began driving at 11:00 a.m. on Day 1. The driver drove between the hours of 11:00 a.m. until 4:00 p.m. (5 hours), went off duty for 1 hour, then drove between 5:00 p.m. and 11:00 p.m. (6 hours). No more driving was completed on Day 1 so the driver did not exceed the 11 hour driving limit (5 + 6). Starting at Midnight going into Day 2, the driver may not drive a CMV until he/she goes off duty for a minimum of 10 consecutive hours, which is indicated on the log. On Day 2, the driver only operated a CMV for 3 hours and so no violation occurred. Explanation - 30 Minute Break: The 1 hour off duty break between 4:00 p.m. and 5:00 p.m. on Day 1 fulfilled the 30 minute break requirement. While only 30 minutes off duty is required, taking a break longer than 30 minutes (as in this case) is perfectly legal. The driver may drive a CMV only if 8 hours or less have passed since the end of the driver’s last off duty period of at least 30 minutes. On Day 2, the driver was only on duty for a 3 hour stretch which wouldn't require the 30 minute break. Both Day 1 and Day 2 of this example are free from any 30 minute break violations. Explanation - 14 Hour Limit: After taking 10 consecutive hours off duty, the driver changed to on duty status at 10:00 a.m. on Day 1. This is the calculation point for the 14 hour limit so the driver has until Midnight to complete all driving tasks. At midnight, the driver switched to the sleeper berth for 10 consecutive hours. Since the driver performed all driving tasks within 14 hours on Day 1, no violation occurred. No violation occurred on Day 2, either, since the driver was only on duty (driving) for a total of 3 hours. Violations: There is an 11 hour rule violation from 6:00 a.m. to 7:00 a.m. on Day 2. Explanation - 11 Hour Limit: After 10 hours off duty, the driver had 11 hours of driving time available at 10:00 a.m. on Day 1. At the end of Day 1, the driver had 3 hours remaining and, without a valid 10 hour break, the driver violated the 11 hour limit by driving an additional 1 hour from 6:00 a.m. to 7:00 a.m. on Day 2. After taking 10 consecutive hours off duty from 7:00 a.m. to 5:00 p.m., the 11 hour limit reset and the new calculation point became 5:00 p.m. with a full 11 hours available. Explanation - 30 Minute Break: On Day 1, the driver began driving at 10:00 a.m. which is the calculation point for the 30 minute break provision. The driver could only drive until 6:00 p.m. which is 8 hours since the last off duty period of at least 30 minutes. The break taken from 3:00 p.m. to 4:00 p.m. fulfilled the break requirement. On Day 2, the longest duration the driver was on duty for was 6 hours which is below the 8 hour threshold requiring a break. Explanation - 14 Hour Limit: Calculation of the 14 hour limit begins at 10:00 a.m. on Day 1. The driver used 9 of 14 hours on Day 1 so 5 hours still remain on the 14 hour limit. The driver then spent 8 consecutive hours in the sleeper berth and that rest break is not included in the 14 hour calculation. So at 3:00 a.m. on Day 2, the driver still had 5 hours remaining on his/her 14 hour limit. After spending 4 hours on duty (driving), the driver then switched to off duty for 10 consecutive hours. That 10 consecutive hour break reset the 14 hour limit and the new calculation point was then 5:00 p.m. Violations: There is a 14 hour rule violation from 9:00 p.m. – 10:00 p.m. Explanation - 11 Hour Limit: After 10 consecutive hours off duty, the driver was eligible to drive for up to 11 hours beginning at 2:00 a.m. The driver drove for just 1 hour between 9:00 p.m. and 10:00 p.m., far below the 11 hour driving limit. Explanation - 30 Minute Break: The driver never drove a CMV after being on duty for more than 8 hours. Therefore, no violation has occurred. Explanation - 14 Hour Limit: After 10 consecutive hours off duty, the driver had 14 hours available beginning at 2:00 a.m. Because the 14 hour calculation includes all off duty time of less than 10 consecutive hours, all of this driver’s time between 2:00 a.m. and 10:00 p.m. is included in the calculation. Even though the driver spent 9 consecutive hours off duty, the 14 hour limit does not get extended. In order for an 8 consecutive hour (or longer) break to extend the 14 hour limit, the 8 consecutive hours must occur in the sleeper berth. However, the driver could have spent 10 hours off duty and both the 11 and 14 hour limits would have reset. The driver reached the 14 hour limit at 4:00 p.m. and violated the 14 hour rule at 9:00 p.m. by driving a CMV beyond the 14 hour duty limit. NOTE: Even though this driver had 10 hours off duty during the day and only drove for 1 hour, that hour of driving was done in violation of the 14 hour rule. The driver did not obtain another 10 consecutive hours off duty, so the calculation point does not change and the 9-hour break must be included in the calculation of the 14 hour limit. After 10:00 p.m., the driver must be off duty for at least 10 consecutive hours, or in a sleeper berth for at least 8 consecutive hours, before driving again. To remain in compliance: The driver should not have driven after 4:00 p.m., which was the end of the 14 hour limit. If he or she had gone into a sleeper berth for the 9 hour break, that break would have been excluded from the 14 hour calculation and the driver would have remained in compliance. Furthermore, the driver could have elected to remain off duty until 10:00 p.m. for a total of 10 hours off duty which would have reset both the 11 hour and 14 hour limits. A driver can legally be on duty indefinitely without taking a break because a break is only required when the driver is actually driving (or planning on driving) a CMV. A driver may not drive if they have been on duty for longer than 8 hours (combination of on duty and drive time) without first taking a 30 minute break. The driver may remain on duty as long as no driving tasks are being performed. After 14 hours of on duty time, a driver may legally remain on duty for as long as they would like. However, a driver may not operate a CMV after 14 hours. A driver may remain on duty after 14 hours, but may not perform any CMV driving duties. The driver had 8 consecutive hours in the sleeper berth, but that break does not give the driver any extra driving time. It does "pause" the 14 hour limit, but the driver is still only allowed to drive for 11 hours within that limit. In addition, the driver cannot use the split sleeper berth provision because he/she did not obtain the equivalent of 10 hours of rest by getting a combination of at least 8 (but less than 10) consecutive hours in a sleeper berth and another break of at least 2 (but less than 10) consecutive hours off duty. Remember, 8 consecutive hours (but less than 10 consecutive hours) spent in the sleeper berth does not count against the 14 hour limit. Refer back to page 95 (link opens in new window) if you are not familiar with the 8 hour sleeper berth provision. Remember: It is safe to assume the driver had at least 10 consecutive hours off duty before the start of each example. The portion of the tractor behind the seats which acts as the "living space" for the driver. It generally contains a bed (or bunk beds), cabinets, lights, temperature control knobs, and 12 volt plugs for power. On which of the below logs did a violation occur? What violation has occurred on the below log? Explanation - 11 Hour Limit: After 10 consecutive hours off duty, the driver had 11 hours of drive time available starting at 1:00 a.m. The driver drove between the hours of 1:00 a.m. and 6:00 a.m. (5 hours), then again between the hours of 7:00 a.m to 10:00 a.m. (3 hours) and finally between the hours of noon to 2:00 p.m (2 hours). Since the driver was allwed a total of 11 hours of drive time but only drove 10 hours (5 + 3 + 2), no violation occurred. Explanation - 30 Minute Break: After 10 consecutive hours off duty, the driver went on duty at midnight. At that point, the driver could perform driving duties until 8:00 a.m. before a 30 minute break off duty would be required to continue any driving tasks. After driving for 5 hours (on duty for a total of 6 hours) the driver fulfilled the break requirement by spending 1 hour off duty between the hours of 6:00 a.m. and 7:00 a.m. Starting at 7:00 a.m. the driver was allowed to continue driving for the remainder of his/her available 11 and 14 hour limits. Explanation - 14 Hour Limit: After 10 consecutive hours off duty, the driver had 14 hours available beginning at Midnight. At 2:00 p.m., the driver had reached the end of the 14 hour window (10 hours driving; 3 hours on duty; 1 hour off duty). The driver may not drive a CMV once he or she has reached the end of the 14 consecutive-hour period and in this example, the driver goes off duty for the required 10 consecutive hours starting at 2:00 p.m.
What day and time did a violation occur in the below example? Day 2 at 3 a.m.
Day 1 at 4 p.m.
Day 2 at 6:00 a.m.
Day 2 at 9 p.m. Which violation occurs on the below example? Violations: There is a 14 hour rule violation from 9:00 p.m. - 10:00 p.m. Explanation - 14 Hour Limit: After 10 consecutive hours off duty, the driver had 14 hours available beginning at 2:00 a.m. Because the 14 hour calculation includes all off duty time of less than 10 consecutive hours, all of this driver's time between 2:00 a.m. and 10:00 p.m. is included in the calculation. Even though the driver spent 9 consecutive hours off duty, the 14 hour limit does not get extended. In order for an 8 consecutive hour (or longer) break to extend the 14 hour limit, the 8 consecutive hours must occur in the sleeper berth. However, the driver could have spent 10 hours off duty and both the 11 and 14 hour limits would have reset. The driver reached the 14 hour limit at 4:00 p.m. and violated the 14 hour rule at 9:00 p.m. by driving a CMV beyond the 14 hour duty limit.